Christmas will be here in a few weeks and New Year’s Eve is right around the corner. Where did 2018 go?! 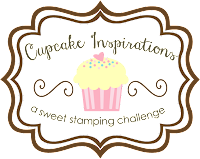 Today starts the last Cupcake Inspirations challenge for 2018 and it will last 3 weeks. That’s plenty of time to whip something up during the busy season! This tri-weekly challenge is a color theme… Continue reading And That’s a Wrap! WOW! This year is just blowing right along! I refuse to decorate for Christmas until after December 1 because I leave my decorations up through New Year’s Day. If I put them up too early, I’ll want to take everything down before Christmas! I have a week to get in the festive spirit and get… Continue reading The Holidays are Upon Us! The weather is getting cooler here and the time will change this weekend signaling winter is coming! There’s a new challenge on the Cupcake Inspirations blog and the theme is Fall! Bugaboo Stamps is our sponsor this week and is generously offering a $12 voucher to our randomly chosen winner, so link up your fall… Continue reading Happy Fall Ya’ll! Google searches are like a box of chocolates, you never know what you’re gonna get! I searched for a quote to go with this Sleepy Fox digital image from All Dressed Up Stamps. I found a sweet quote, “Stay clever, little fox”. I’d never heard it before, so I searched for the origin of it… Continue reading What does the fox say?